How to Fly the P-47 Fighter DVD video covers the P-47 Thunderbolt fighter of World War II. Included are three P-47 films as well as the P-47 pilot's manual on the DVD. Film #1 - Pilot Familiarization for the P-47. You'll see a detailed, step-by-step introductory rundown on the Thunderbolt's layout, specs, design and capabilities. Especially informative is a tour of all the major cockpit instruments and components. In B+W with a run time of about 23 minutes. Film #2 - High Altitude Flight and Aerobatics. See the Jug rock'n'roll! Loops, rolls, dives, the big Jug can do it all. Contains a thorough explanation of high altitude P-47 turbo-supercharger theory & operation too. In B+W with a run time of about 22 minutes. Film #3 - Uncrating and Assembly of the P-47 Thunderbolt. This truly remarkable step-by-step training film shows how a ground support crew of fifty men could assemble a P-47 in a field using nothing more than muscle, unpowered hand tools, and pieces of the shipping crate it came in. We're talking nothing more than hammers, wrenches and bicycle pumps! You'll also get a unique look at the inner workings of the big Jug as it is literally bolted together by field personnel. A must see for P-47 fans and shade tree mechanics alike! In B+W with a run time of about 40 minutes. 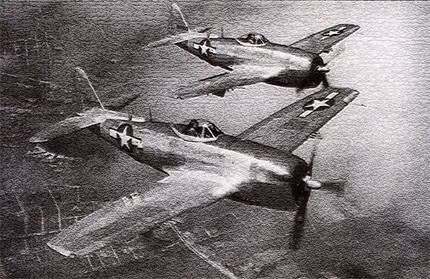 A 50-page P-47 pilot's manual is included on the DVD. It is in .pdf file format with photos, systems diagrams, performance charts, procedures & more. The manual can be accessed on a computer equipped with a DVD drive. The DVD is in NTSC format and is packaged in a plain clear plastic C-Shell DVD case without paper graphics.